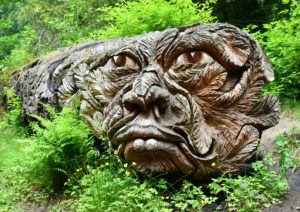 A carving on a fallen tree at NT Cragside in Northumberland. 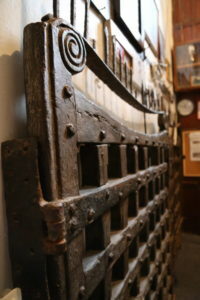 Wooden gates from St. Olaf’s Church, Poughill. 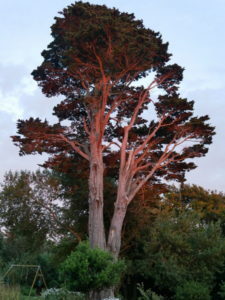 Sunset on a large Cypress tree in our garden in Poughill.